(Stock image for illustration purposes) New Malaysia demands a new reality. This, our political parties, and most certainly, the government, must help create. NSTP/ ASWADI ALIAS. IT has been nine months since we discarded the old for the new. On that ninth May day, Malaysia was enveloped by palpable euphoria. 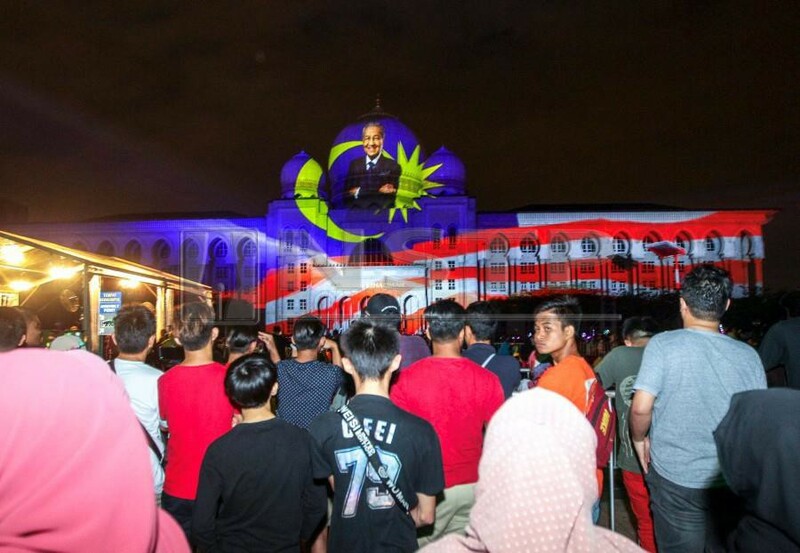 The mirth was a celebration of the birth of a New Malaysia. And new politics. One tangible sign of this new climate of change is the trial of former prime minister Datuk Seri Najib Razak, scheduled to start tomorrow. We are calling it the Trial of the Century, and for a good reason too. Never has this nation put its former prime minister in the dock. Tomorrow, Najib will stand trial on seven charges involving RM42 million of SRC International Sdn Bhd’s funds. Eleven other high-profile personalities, including Najib’s wife, Datin Seri Rosmah Mansor, and former deputy prime minister Datuk Seri Dr Ahmad Zahid Hamidi, await their turn to be in the dock. Malaysians are looking for other tangible evidence of change too. Racism is one such area. We have often touted our diversity to the global audience as the secret recipe for our harmonious living. But it does creak and crack on rare occasions. It did in a big way on that miserable May 13 day of 1969. None want that to happen again. Racism isn’t just a disease of one race in Malaysia. It crosses ethnicity. Every race must remove the blemish. But our institutions, especially our political ones, are not helping. Our history has somehow taken us on the race track — a party for the Malays, a party for the Chinese, a party for the Indians, and a party for what-have-you. We cannot blame history, though. That time, circumstance demanded it. And we dutifully followed the dictates of the time. Now — standing at the 19th year of the new millennium — we must ask ourselves: do we continue to travel the same path or take the road less travelled? It may not be as pertinent to Umno, MCA and MIC as it is to DAP, Bersatu and Amanah being as they are now members of the government. Should our ethnic-based political parties find it difficult to discard their race-based politics, they must at the very least articulate things multiethnic. The democratic transition of May 9 calls for an end to racial verbiage as suggested by Dr Rais Hussin’s Op-ed commentary in the New Straits Times today on page 13. New Malaysia demands a new reality. This, our political parties, and most certainly, the government, must help create. To do this, both must adopt new habits of mind. They must start being more communicative with the media, especially the mainstream media. Being forthcoming and expansive with information helps push the democratic transition agenda. New Malaysia has created this expectation. This was the reason for the palpable euphoria on May 9. On that May day, the people saw the dawn of a promised, more inclusive future. Such a future can only be made to happen with the reform of political institutions and government machinery. The two must strive to enable a free press to thrive. Without a free press, a New Malaysia may mean little. Or might not even be possible.